It was hot but we had fun and folks went home with books from our authors. 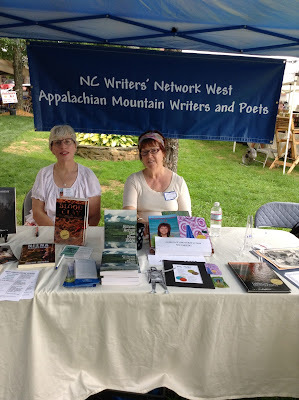 NC Writers' Network West, a program of the North Carolina Writers' Network, sponsored this booth and volunteers staffed it both Saturday and Sunday. 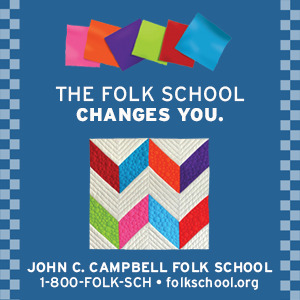 We handed out information about local events, registration for membership, and gave information about the Fall Conference in November in Asheville. 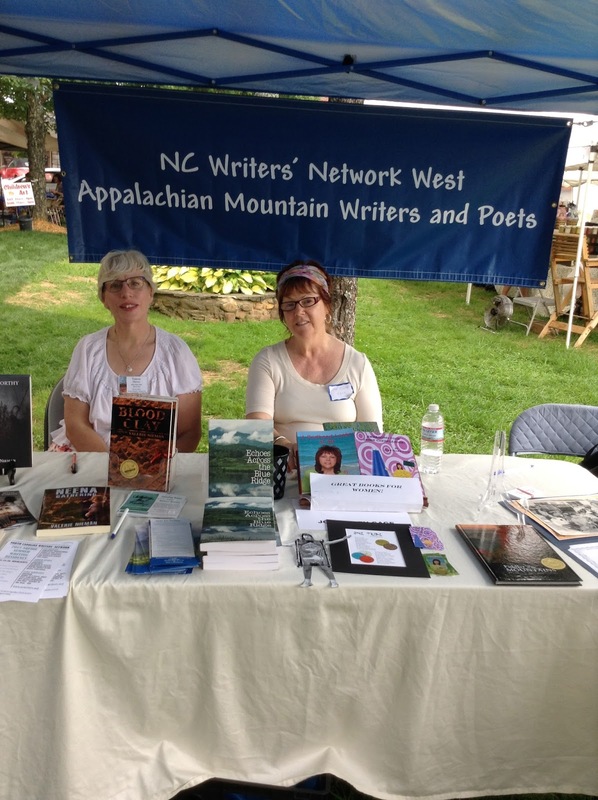 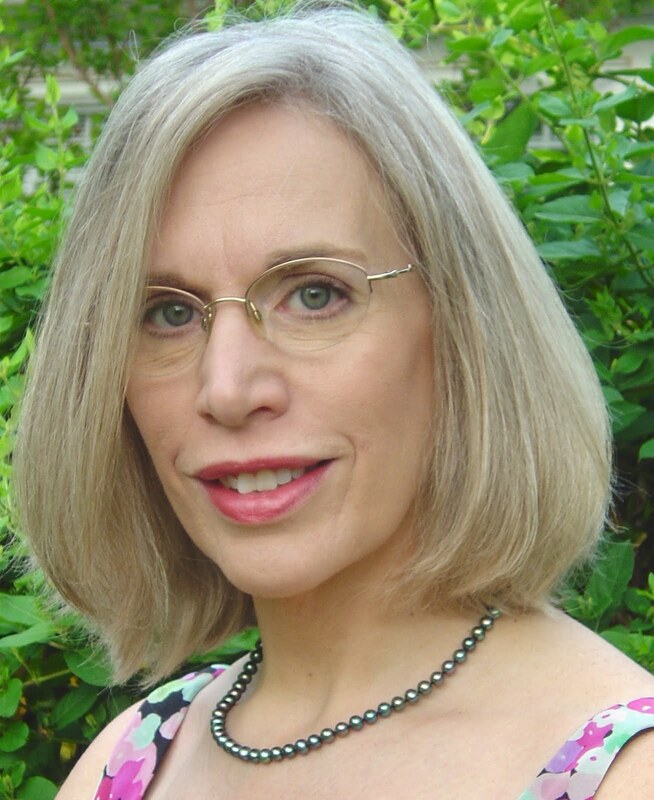 We talked to people about NCWN, the state writers' group. 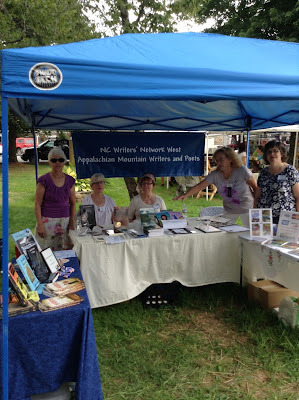 www.ncwriters.org and gave away books twice each day of the festival. 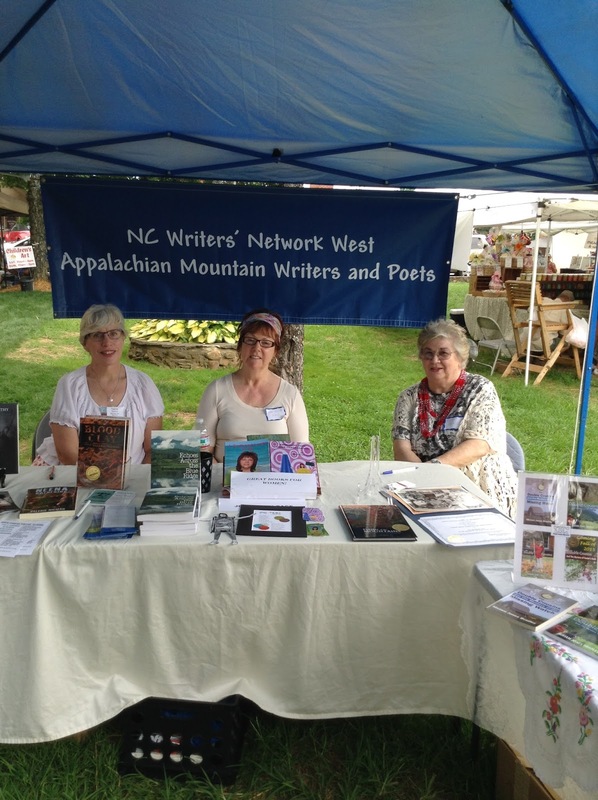 Val Nieman joins Joan Ellen Gage at the book table Sunday afternoon.